EXCLUSIVE: Macallan has withdrawn a number of ‘19th-century’ bottles from display at its new £140m distillery amid continued concerns over their authenticity. The bottles, the contents of which were found to be counterfeit in the early 2000s, had previously been displayed at nearby Easter Elchies House, until they were removed last year following concerns raised by whisky experts and enquiries from Scotchwhisky.com. Those concerns were expressed after Chinese hotel guest Zhang Wei paid CHF9,999 (US$10,277) for a glass of ‘1878 Macallan’ at the Hotel Waldhaus am See in St Moritz, Switzerland, in July last year. After whisky collectors voiced their scepticism on social media, tests revealed that the whisky was fake – in fact, a blend from the 1970s – and the hotel refunded the money to Zhang. Macallan had maintained that the bottles in its own collection were genuine – while acknowledging that the whisky inside them was fake – citing tests showing that the glass and the label paper dated from the 19th century. However, experts had highlighted apparent historical inaccuracies on the label – especially the reference to Roderick Kemp owning both Talisker and Macallan distilleries at the same time, when he sold the former in order to finance the purchase of the latter in 1892. Macallan removed those bottles from display at Easter Elchies ‘as a precaution’ last year, adding that they were believed to be genuine, and pledging to place a ‘fully authenticated’ collection on public display at the new Macallan distillery, which opened in May this year. But concerns were raised again by whisky experts and on social media when the bottles returned to public display at the new £140m distillery, prompting Scotchwhisky.com to renew its enquiries about them. 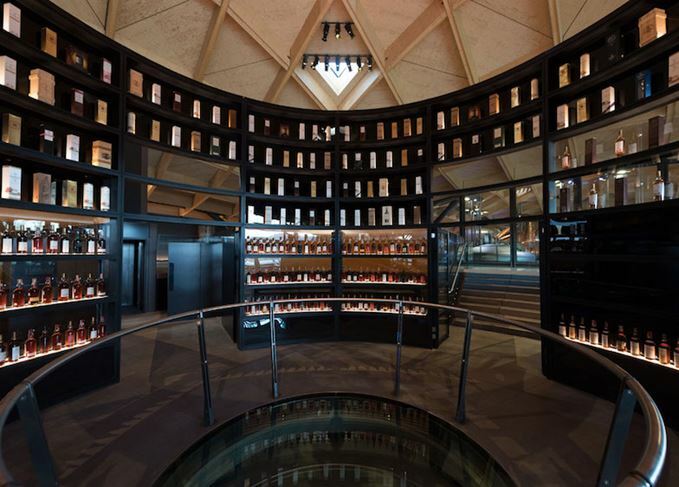 As a result, Macallan released the following statement yesterday (9 July): ‘With the unveiling of the new Macallan distillery and visitor experience, we have displayed a number of vintage Macallan bottles. ‘With the help of a full-time archivist, we are in the process of extensive brand archive work that includes the documentation of the history of these stunning bottles. Edrington-owned Macallan was unable to say how many bottles were affected by this move. The company bought up to 100 ‘19th-century’ bottles of Macallan in the early 2000s, auctioning some, offering others for sale and making modern replicas of the spirit until tests revealed that it was counterfeit. It’s a busy time for architects as the boom in new Scotch whisky distilleries continues. In a post-truth world, fakes are everywhere, but have they invaded your whisky cabinet?